Today I'm going to share with you one of my favourite things to do: Baking! And going to show you one of many recipes I have for making delicious ice creams. My today's recipe is Oreo Ice Cream! To start with the deliciousness, crush the oreos until they become little pieces and store them in a bowl. Then, you need to whip your cream with an electric mixer. After that it will become really smooth so you mix it with the crushed oreos in a tupperware and add the condensed milk. Put it in the freezer and voilá! 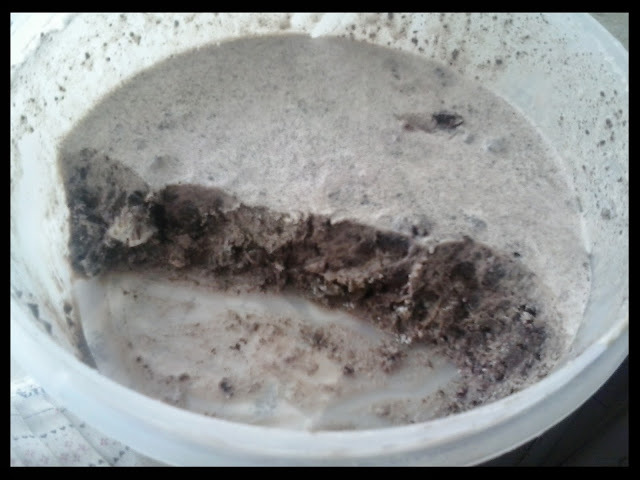 A delicious oreo ice cream to eat when bored, sad or frustrated with exams and studying. A good thing about this recipe is that you can try it with different cookies! For example, I once tried with Chipmix and it was really good! I honestly prefer this one!.